The love of farming and wheat harvest runs deep in Kayla Westerman’s veins. The Werner Valley Farm was first purchased by Kayla’s great-grandparents Clem and Bernadine Werner in the 1930s. Her great-grandfather Clem, grandfather Karl, dad Jerry and brother Jace have stuck together in the family operation over the years to keep the family farm alive and continue to harvest wheat and grain sorghum and raise cattle and sheep as well..
On the tight-knit family farm, the houses have been passed down from generation to generation. Kayla’s brother, Jace, and his wife currently live in the original farmhouse that they grew up in. Her parents live in the house that her great-grandparents lived in prior to that. That makes them the fourth generation to live on the farm. Her grandparents Karl and Donna Werner live less than a half mile away. “You can actually see my grandparents’ farm from behind my brother’s house,” Kayla said. Kayla moved to Wichita, Kansas, after college. 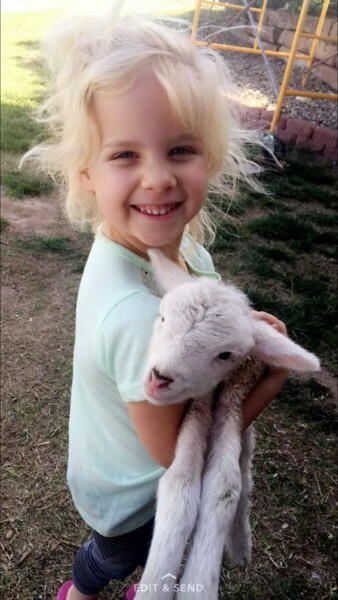 After her daughter Paisley, who is now five years old, was born, she decided Wichita wasn’t the best fit for her and her daughter, so they moved back to her hometown of Zenda and bought a house closer to her family farm. “I didn’t want her living in what I call a big city, but I wanted her to grow up where I grew up and getting to learn all about the farm life,” says Kayla. Paisley already loves the farm life, helping with the sheep and cattle in the fall and winter months. During harvest, she was having dance parties with her Uncle Jace in the combine until 11:00 p.m. one Saturday night and riding in the semis to haul wheat to town. The moniker started as the “Werner Warrior Women” when Karla and her sisters Janene and Karen began fighting the battles of breast and kidney cancer, but the women aren’t the only fighters in the family. Right before harvest this year Kayla’s grandfather, Karl, was diagnosed with stage 4 lung cancer. 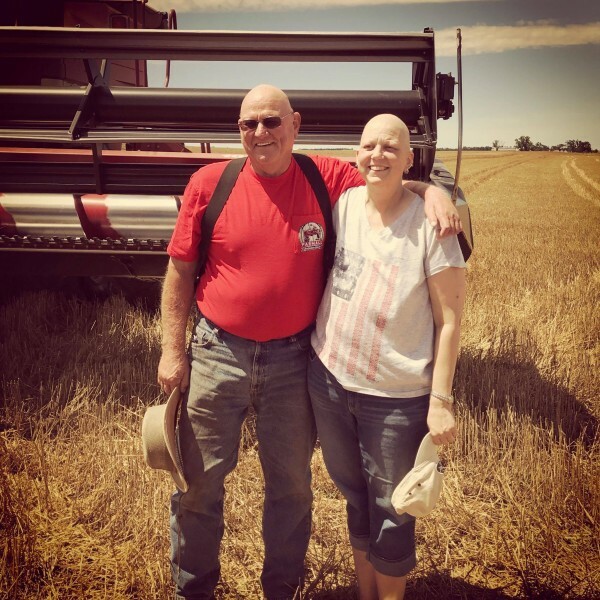 Cancer hasn’t stopped Karl from helping on the farm as he can still be seen in the field baling hay, taking trucks to the elevator and checking his cattle. Even though her family has gone through trauma that no one wishes to endure, her family still manages to take life one day at a time. Wheat harvest has been in her family for generations and hopes to continue for generations more. Farming is a way of life that isn’t for the faint of heart. 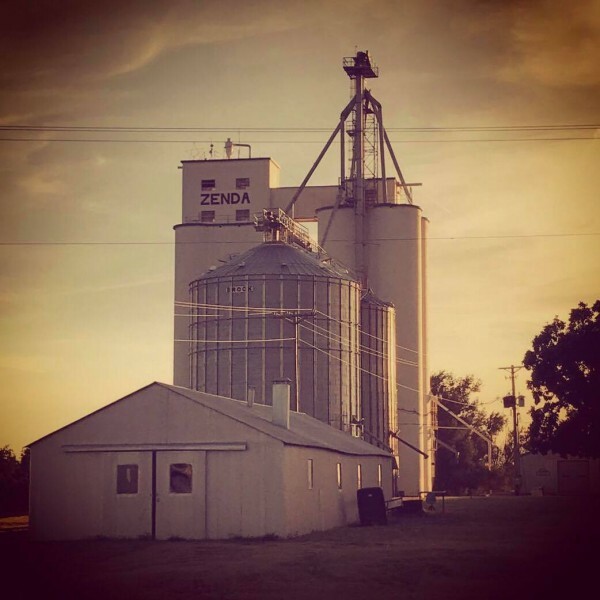 Learn more about Kansas wheat farming by riding along with high schooler Amaya Ochs, a young lady who has set her sights on returning to the family farm. Or take a look at how wheat is grown in other states by visiting the National Association of Wheat Growers!